Part of looking good is having a beautiful smile. It can create a visual impact on the people you meet. Having a brighter smile can also make a better first impression, often leaving a lasting memory. If you can keep your teeth their healthiest white without help, then you must be lucky. In reality, teeth can loose their sparkle and become less attractive over time due to diet and lifestyle. Certain foods and beverages, tobacco use, medications, as well as genetics are some of the most common culprits for tooth discolouration. They can create stains that are not easily removed with dental home care. Teeth whitening treatments are now more affordable and accessible, but it’s important to use caution when opting for bleaching treatments. To free yourself from doubts, we highly recommend the safest method of teeth whitening that are overseen by your cosmetic dentist. You have different options when it comes to dental bleaching, but the most common are over-the-counter or the do-it-yourself approach and the in-office treatment system. There’s a big difference between the two, and knowing which option is best is crucial for achieving optimal results. OTC whitening systems are easy to use and cost less than other dental bleaching treatments that is why they’ve become so popular. Some of these products can be purchased without the supervision of your dentist. These include whitening toothpastes, paint-on tooth gel and whitening strips. If you have dental concerns, brightening your teeth with over-the-products is not a good idea and you should consult your dentist before using certain whiteners. Whitening toothpastes will not bleach your teeth as they have mildly abrasive effect. Some can only lighten your teeth by up to one shade. Whitening strips are best for mildly stained teeth and the effect only lasts for 1 to 2 weeks after using. Whitening rinses have small amounts of peroxide and considered as not effective in brightening your teeth since the peroxide doesn’t remain on your teeth and is in contact with them for about 60 seconds only. Pre-made whitening trays are not customised for your mouth, which causes the whitening gel to ooze and harm your gum tissue. Some of OTC products are quite effective but not as effective as the in-office approach. Since the treatment is supervised by your dentist and the bleaching formula used are of professional strength, you can be sure that the procedure will meet your expectations. With the use of lasers or specially formatted lights, the whitening gel can penetrate your teeth more thoroughly to provide more dramatic and long-lasting results in an hour or less. After the procedure, your dentist may give you a take-home kit to maintain the whiteness of your teeth. Professional teeth whitening best remove stains that are caused tobacco use, tooth-staining foods and ageing. The effect of the treatment can last one to three years, subject to your diet and lifestyle. The ideal candidate for teeth whitening treatments is someone who has overall healthy teeth and gums and has general tooth discolouration or stains. Moreover, the patient must be able to understand the pros and cons of the procedure and gain realistic expectations of the result. At Simply Smiles Dental, we have two different ways of whitening your teeth in the most professional way – no discomfort, no damaging side effects. You may choose to undergo one-hour dental bleaching with Zoom! Whitening or whiten your teeth at home with our effective Take-Home Professional Whitening Kit. Our professional teeth whitening system is administered by our skilled Toorak cosmetic dentist to ensure safe, effective and lasting whitening results. 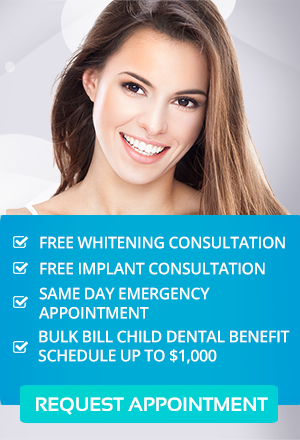 To learn more about your options for achieving a brighter, whiter smile, schedule your Toorak teeth whitening appointment today.